Braithwaite, William Stanley Beaumont, 1878-1962. The house under Arcturus, Parts IV & V.
Printed from the Colorado Statesman, May 16. Sketch of Rev. Mrs. Mason. 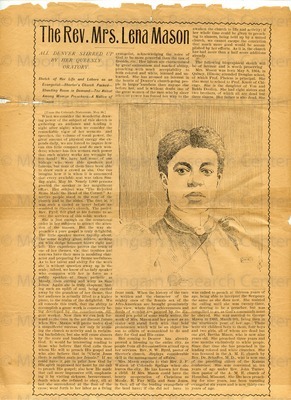 Sketch of life of Sergeant Samuel Miller, U.S.A. 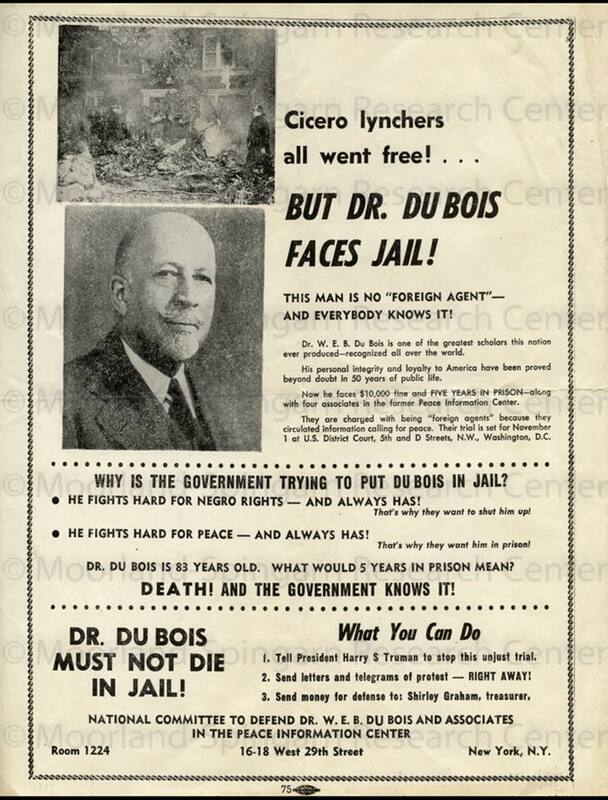 Retired, 1935 May 11. Attached: Program. Presentation of Purple Heart and Cuban Occupation Medals of the U.S. Army to Sgt. 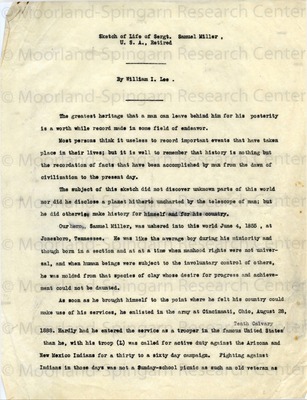 Miller, 1939 April 23. 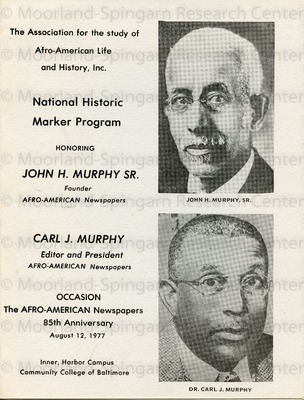 “Occasion The Afro-American Newspapers 85th Anniversary - includes. Biographical sketch of both men. 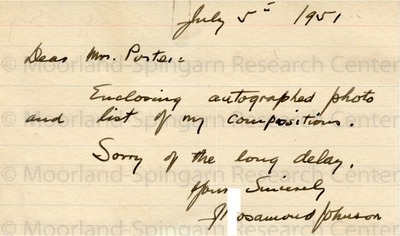 Post card to Dorothy Porter enclosing biographic sketch and list of J.R. Johnson's compositions., Enclosures: biography and list of popular songs. 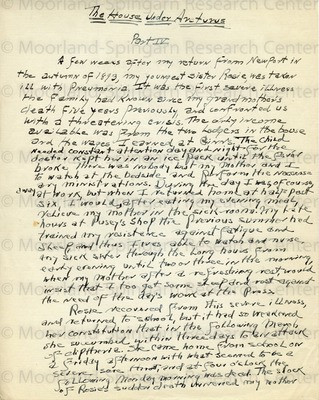 Photograph transferred to Prints and Photographs. 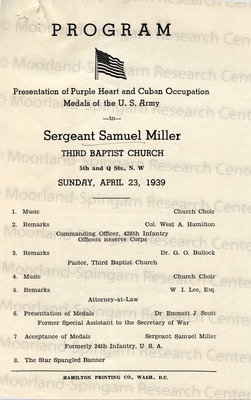 Sketch of life of Sergeant Samuel Miller, U.S.A. retired.